Join us for our 2nd annual 5K for Brighter Dawns and help us improve health conditions in the slums of Bangladesh! Registration is $10 per person, and pre-registration is strongly encouraged and can be completed online at our website: http://brighterdawns.org/5k. Check-in at Long Lane Farm will begin at 10:30AM, and the race will start promptly at 11AM. Directions can be found on our website. T-shirts and tote bags can be purchased on the day of the event for $10 and $15, respectively. Walk, jog or run with us to give impoverished people in Bangladesh the opportunity to live healthier lives! Brighter Dawns is a non-profit organization committed to improving health conditions in slums in Bangladesh. Although we have been operating for just over a year, with the help of generous supporters across the country, Brighter Dawns was able to complete its first project in the summer of 2011, constructing 15 wells, 20 latrines, and 3 bathrooms and distributing sanitary kits to provide clean water and sanitary conditions to over 5,000 slum residents of Ward 12, Khalishpur, Bangladesh. However, there are still thousands of people in Ward 12 who are placed at risk of deadly water-borne diseases every day simply because they lack access to potable water and sanitary facilities. Through the help of our donors and partners, we hope to expand our project to provide all of Ward 12 with equal access to these necessities, reducing disease and generating hope for a healthier tomorrow. The Christopher Brodigan Fund was established in memory of Christopher Brodigan, a Wesleyan student who died in an accident in his frosh year. The Fund pays tribute to Christopher’s deep interest in Africa and to the public service he provided through teaching in Botswana prior to entering Wesleyan. Awards will be made to graduating Wesleyan seniors (first priority) and recent Wesleyan graduates who plan to pursue public service or research (in that order of preference) on the African continent. Students from any discipline are encouraged to submit applications proposing a public service or research project. Service projects should be carefully designed to provide some form of valuable assistance to people in Africa. Students may propose to provide service in educational institutions, development organizations, grassroots groups, or non-governmental organizations pursuing service work. Research projects will be supported especially if it is likely to provide concrete benefits to African society or to contribute to the student’s ability to serve African interests in some capacity. Several awards averaging $3,000 each will be offered. Applicants are strongly encouraged to consult with a member of the African Studies faculty (see Faculty listing on this website) while formulating their proposals. Recipients are required to submit reports on their projects once they are completed. Applications should be submitted by email to Professor Mike Nelson of the Government Department (mbnelson@wesleyan.edu). Applications are due by 4pm Friday, April 6, 2012. Awards will be announced prior to graduation. Additional information available at http://africa.blogs.wesleyan.edu/brodigan/. Building on the successful model of the Clinton Global Initiative (CGI), President Clinton hosts the CGI U Annual Meeting for students and youth organizations to create innovative solutions to some of the world’s most pressing issues. Since its inaugural meeting in 2008, CGI U has brought together more than 3,500 students from over 650 schools and 110 countries. In order to attend, all CGI U participants are required to develop a Commitment to Action: a new, specific, and measurable plan that addresses a challenge on their campus, in their local community, or around the world. The CGI U meeting includes plenary sessions, working sessions, and other special events that provide participants with a wide variety of knowledge-sharing and networking opportunities. The program allows CGI U members to discuss global issues, develop practical skills, identify potential partners, and formulate concrete plans of action for the months ahead. The application to attend the 2012 meeting of the Clinton Global Initiative University (CGI U), hosted by President Clinton, is now available. Click here to apply online. The deadline for applying to attend the meeting is Tuesday, January 17. President Clinton will host CGI U 2012 at The George Washington University from Friday, March 30 to Sunday, April 1, 2012. CGI U is President Clinton’s initiative designed to engage the next generation of leaders on college campuses around the world. Each CGI U student member makes a Commitment to Action: a specific plan of action that addresses a pressing challenge on their campus, in their community, or in a different part of the world. Come find out how to apply for this $10,000 grant to support projects promoting peace during the summer of 2012. All Wesleyan undergraduates are eligible to apply and interested applicants are strongly encouraged to attend one of the info sessions. Applications are due Friday January 27. Siddhant Issar worked for Upward Bound this summer, helping local high school students prepare for college. Here are some photographs from the group’s trip to the Big Island of Hawaii, where they studied natural disasters and rich cultural heritage of the islands. In July two members of Brighter Dawns will travel to Bangladesh for a month to help install 10 wells and 30 latrines in Khalishput, and hand out 1,000 sanitary kits . Through fundraising and grants, Brighter Dawns raised over $15,000 since it was formed. It was recently awarded a $10,000 grant from Projects for Peace to implement the sanitation project. 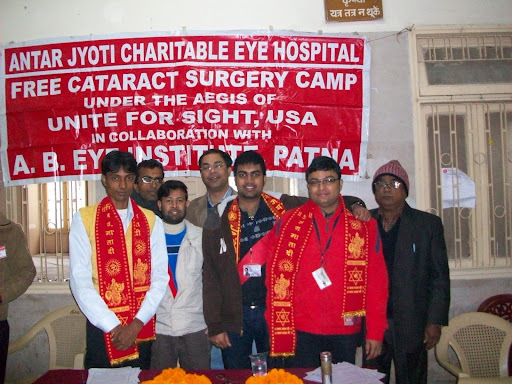 Raghu Appasani volunteered through Unite for Sight with the AB Eye Institute in Patna, Bihar State, India over the winter break. A photo gallery of images from his experience can be found here. Possibilities Pakistan was founded by Wesleyan students Ali Chaudhry ’12, Kenny Feder ’12 and Kumail Akbar ’12 in April 2009. The MINDS Foundation is a student-run NGO that is taking a grassroots approach to eliminating stigma and providing medical, educational, and supportive care for patients suffering from a mental illness in developing countries. Please vote for us to move on to the semi-finals round in which we will have a chance to win $50,000 which will enable us to implement our program and treat 60 patients suffering from a mental illness for one year!